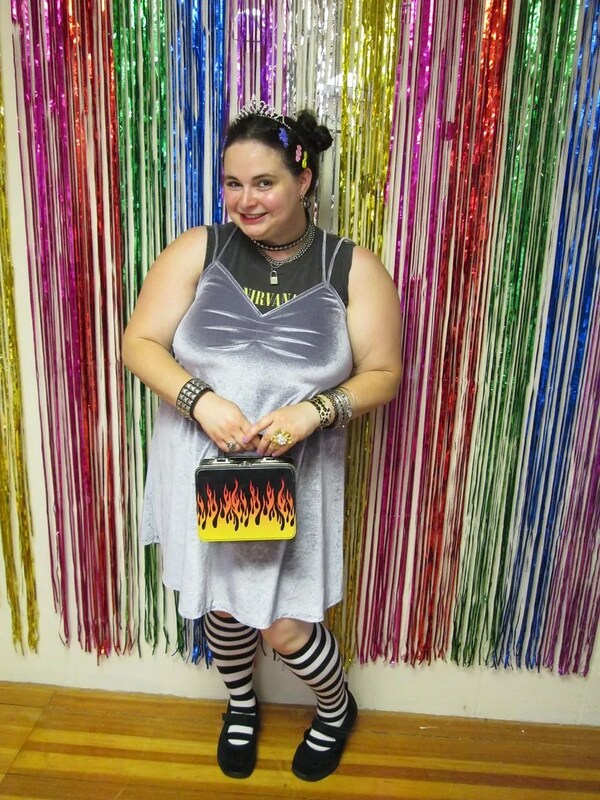 This outfit is pretty much the epitome of my teenage style dreams. 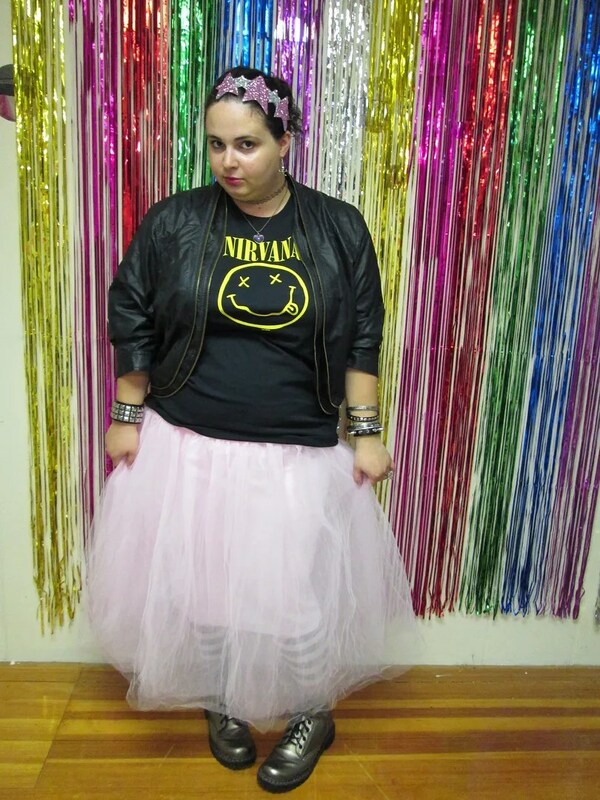 If you’d told 16-year old Laura that she’d grow up to wear a long pink tutu with a pleather jacket and metallic boots, she would have been very happy. Back when I was in college, ’80s parties were a big thing. I was never that into ’80s music or style, but the ’90s were everything to me, so I was really glad when they started coming back in the past year or two. 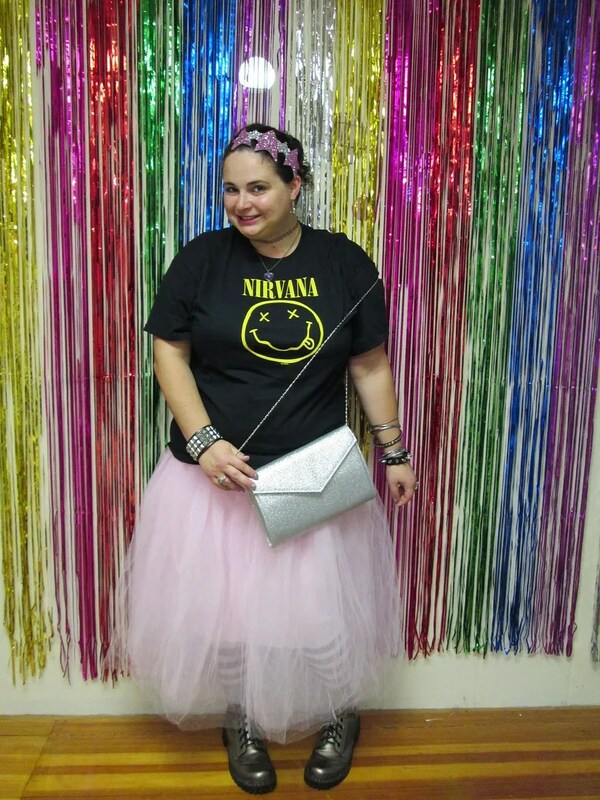 I had a ’90s party a few years ago, and decided to have another one recently, because why not? Oh, lunchboxes. I was so into them in high school–I had a whole collection, and used a different one for my lunch every day. And this shirt….this shirt is the second-oldest item of clothing I own. (The oldest is a t-shirt my best friend got me in Puerto Rico when I was 9, a year after I’d gone on a trip there with her. It’s full of holes and I never wear it, but I can’t bear to part with it.) 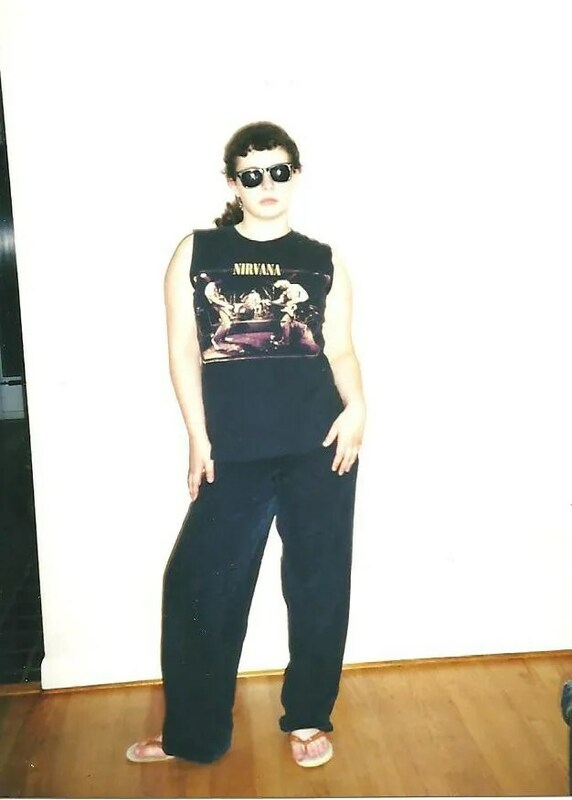 I got it in sixth grade from a store that was literally called Booger’s–it sold band t-shirts, skater clothes, and random stuff like fuzzy picture frames, and was my favorite store ever.